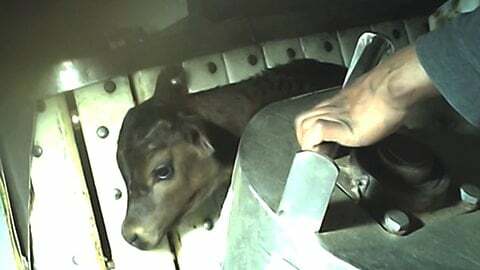 You won’t believe what 4-day-old calves endure on dairy farms across New Zealand unless you see it with your own eyes. It is important to note that in dairy farms all over the world, not just in New Zealand, new-born calves are taken from their mothers to prevent them from nursing. This shocking video from Farmwatch & SAFE reveals how a typical dairy farm treats 4-day-old baby calves. After the calves are forcibly separated from their mothers, they are brutally beaten with axes and left to bleed to death. No one should be treated with such violence, but in the dairy industry this is just standard practice. SAFE (Save Animals From Exploitation) is a nonprofit animal rights organization from New Zealand. Founded in 1932, SAFE aims to make significant changes in the way we view and treat other animals. Their ambition is that animals are no longer exploited or abused. Farmwatch is a nonprofit animal rights organization from New Zealand. The organization works to create a world where each animal is treated with respect and compassion. Farmwatch investigate farms and expose the reality of what is being done to animals. When they can, they also rescue some. The organization also provides help to other Animal Rights groups in the field of undercover investigations.